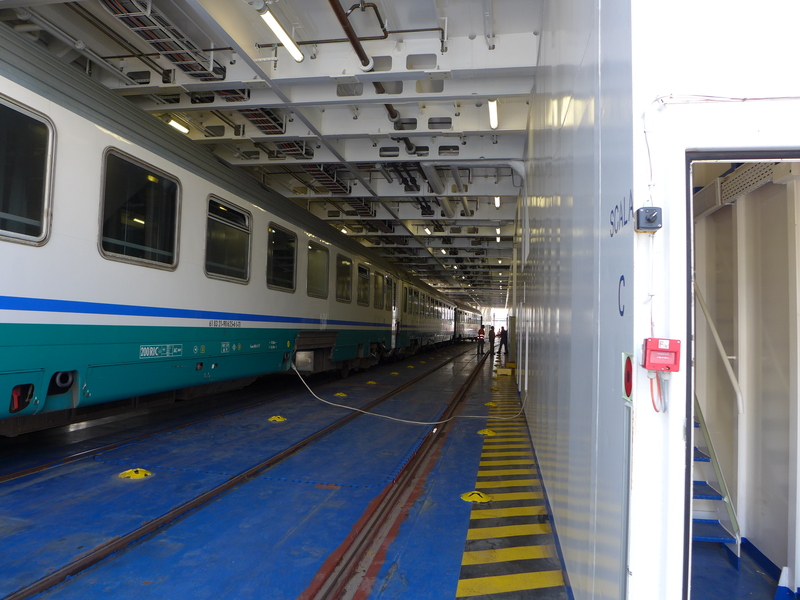 If traveling by train from Sicily to mainland Italy, the train is cut in half and boards a ferry. 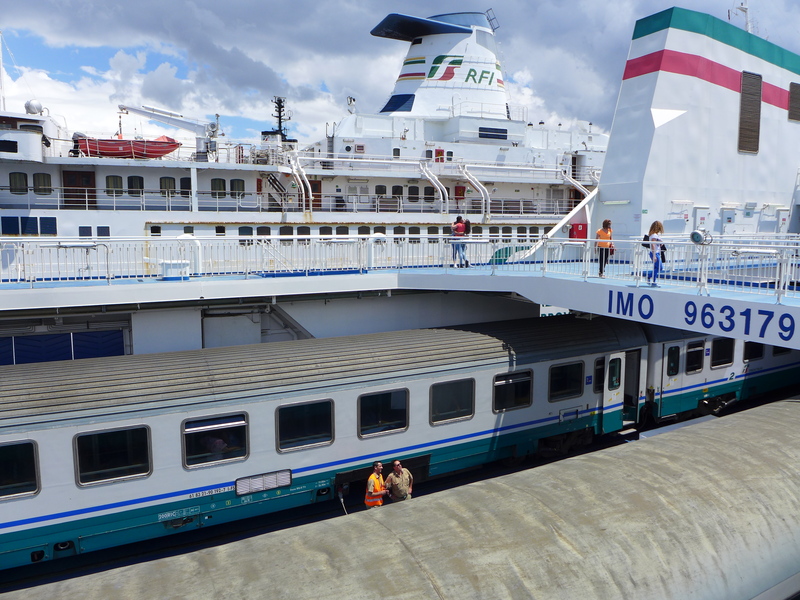 The ferry, carrying its cargo of train cars and passengers, crosses the Strait of Messina- a narrow passage connecting the Ionian Sea to the south with the Tyrrhenian Sea of the north. 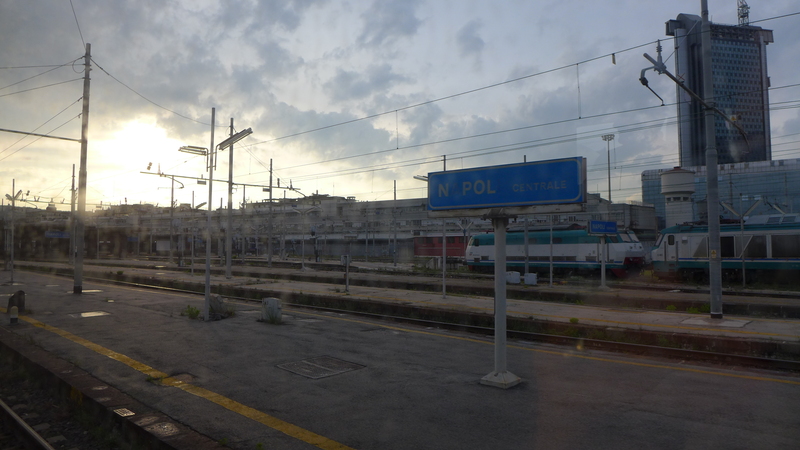 Sicily was being left behind, but the Sicilians aboard the train made their presence known up through Calabria into Catania, finally arriving at dusk, pulling into Napoli Termini. For an hour, a man had been singing along to his radio a couple compartments ahead of mine. I read and watched the scenery pass before I even thought to take out my i-phone and record what I had been hearing. 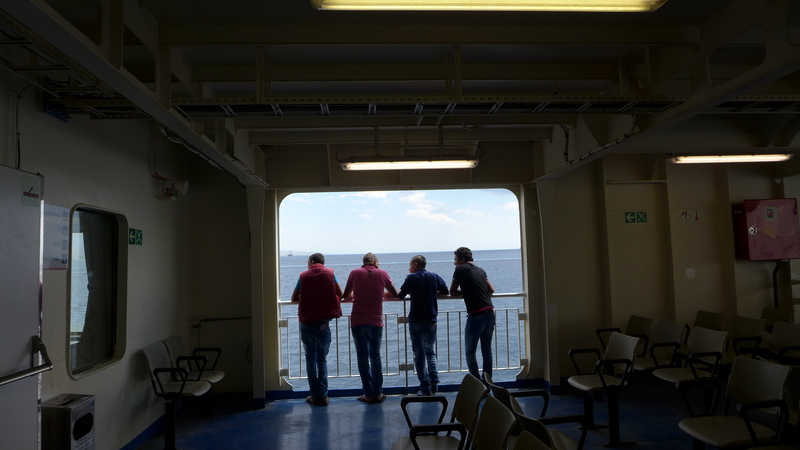 It was so casual, so woven into the fabric of the sound waves of travel, that I hadn’t thought anything of it. Of course when I hit record, he sang a few more lilting notes before falling silent. Later someone else picked up the tune in a whistle. I never saw either of them. 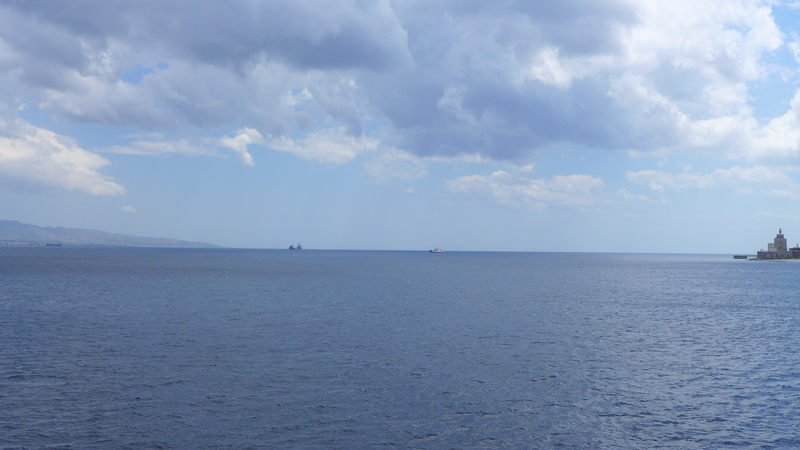 When I walked up on deck, girls were taking selfies, curly tendrils of hair whipping across their faces in the wind. My first day in Naples. There is a church on the top of Spaccanapoli- the narrow street the cuts through old Naples like a knife. The church echo and monotony of the women’s recitations cast a spell. I don’t know how long they had been there that day and I don’t know how much longer they stayed after we slid out. What Mahriano did tell me was that they come everyday. But only the old and devout. The ritual will die out when they die. When we stepped out onto Spaccanapoli, bells from a neighboring church began ringing through the air. The cacophony of the street began. 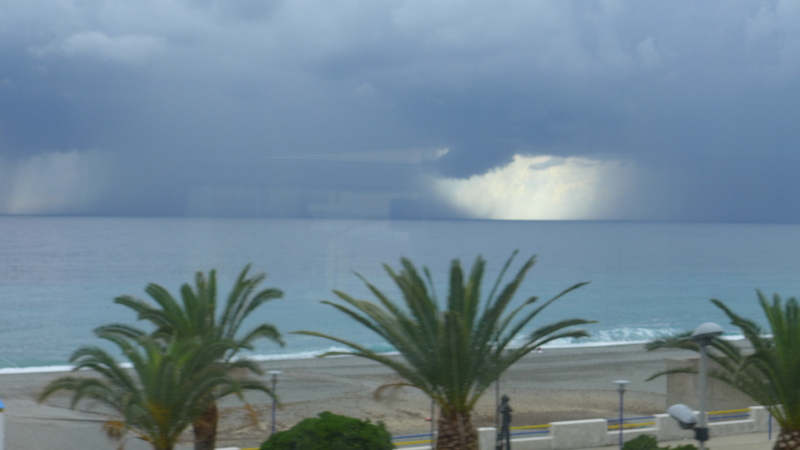 This entry was posted in Cities, Italy and tagged Naples, sacred songs, Sicily, Trains, voices. Bookmark the permalink.